The present study is the first to directly compare event- and time-based prospective memory in Autism Spectrum Disorders (ASD) using a contextual task mirroring real life demands of prospective memory. Twenty-five individuals with ASD and 25 age- and ability-matched controls completed the Dresden Breakfast task which required participants to prepare breakfast following a set of rules and time restrictions. Overall, adults with ASD had less correct time- and event-based prospective memory responses in comparison to controls, which is consistent with previous research in children with ASD. 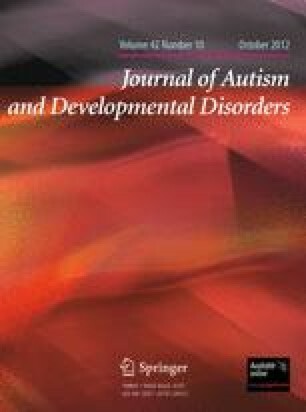 Moreover, ASD participants completed fewer tasks, followed rules less closely, and monitored the elapsing time less closely than controls. Individuals with ASD seem not to be compensating in naturalistic prospective memory tasks. The online version of this article (doi: 10.1007/s10803-012-1466-3) contains supplementary material, which is available to authorized users. We are grateful to Professor Fergus Craik, Rotman Research Institute, Toronto, for his helpful comments on an earlier version of this manuscript. We would like to thank Pauline Greve, Anett Kretschmer and Sergio Cortez for their help in data collection and data analyses.